This volume is the product of a week-long study which took place at Dresden from the nineteenth to the twenty-first of September in 2011. The conference was organized as a joint effort of the Heidelberger Akademie der Wissenschaften and the Sächsische Akademie der Wissenschaften at Leipzig. The volume's papers are divided into four parts, each with an essay in commentary. 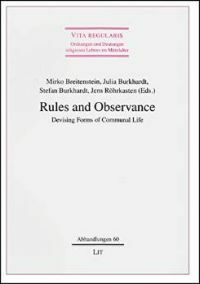 Part I is directed to the "Wirkung von Innovation in der Welt"; Part II addresses the theme "Normativität und Innovation". 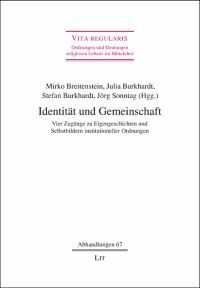 Part III is titled "Innovation und Gemeinschaft", Part IV "Innovation und Individuum". It is clearly impossible to analyse and critique seventeen articles in this brief review. I shall rather attempt to address some themes important to the volume and then point out an area which I should have liked to have seen more fully developed. The papers in this volume operate on two levels, the first of which is the exploration and application of historical methodology. Methodology, of course, concerns itself with abstract concepts, among them surely the idea of "innovation". Discussions on this level are basically philosophical and semantic. Some questions necessarily arise: what is innovation?, what is "the new"?, and what is the relationship, causal or otherwise, between them. 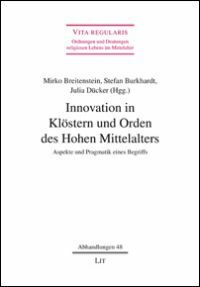 On page 24 of Stefan Burkhardt's "Konflikte um das Neue: Innovationsprozesse im Mainzer Erzbistum des 12. Jahrhunderts", we read: "Reformation is not innovation in the sense of the title of this book". On page 28 of Ernst-Dieter Hehl's "Innovatio/Renovatio: Prozesse von Abstrahierung und Differenzierung im 12. Jahrhundert", we read: "Renovatio is the basis of Innovatio." In both cases there is little or no discussion of why the authors have adopted these seemingly contradictory or, at least, partially disparate points of view. One would have thought that the conference that gave rise to these opinions would have provided an ideal setting for discussion of these issues. What is indeed the relationship of innovation to reformation, one might ask. I would be remiss if I did not mention the stellar qualities which the papers in this collection do possess. The mechanics of historical scholarship are exhibited to an exemplary degree in the papers presented: reliance on primary sources, thorough knowledge of secondary sources, and well-honed powers of induction. These are the qualities which make the articles in this volume valuable. I think that the volume would have been immeasurably strengthened if a middle course between abstract reflection on "innovation" and the solid, concrete investigation of documentary sources had also been followed. That course is touched on in some articles, but most impressively by Christian Chadon and Daniel Dersch in their article "Thomas von Cantimpré: Kritik an der Kirche" (175-195). 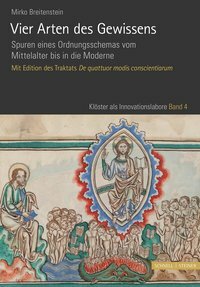 What I should like to have seen in this volume is more analysis of twelfth and thirteenth-century views of "innovation", "reformation", "renovation", and change in general. Surely there are many texts available on these subjects. Those which come immediately to mind are those on the subject by Rupert of Deutz and Anselm of Havelberg, both mentioned only in passing in the volume under consideration. Rupert makes an aggressive attack on "novelties", on "new laws, new customs, new rules, and what-not". In his Dialogues, Anselm asserts that the history of humankind is an evolutionary process calling for continual change in both institutions and in how people understand and express their fundamental beliefs. Frankly, I am much more impressed by the command of the sources which this book's authors possess than I am by their speculation on the relationship of "innovation" to "the new". Perhaps my stance merely reflects the prejudice of an American educated and immersed in a pragmatic approach to history - an American lacking the background in nineteenth-century idealism often displayed by the authors of the articles in this volume.